The 32 Paths proviso that no created being can attain to its essence is a VERY deep mystical statement. The essence of Kether is the Ayin, commonly translated as nothingness. The Ayin is so utterly foreign to creatures that exist or have BEing, that it is impossible for us to even begin to comprehend this realm. Our words cannot even begin to describe it. The only consciousness capable of comprehending the Ayin is Kether The One Self, the Unity of ALL BEing. In other words, no created being can attain to the Ayin -- only the creator of being can do so. Which is another way of saying that unity with Kether brings the initiate their first perception of this essence. It's important to understand that in the 32 Paths, the term 'Khasidim' (compassionate) is a code word for the initiate -- the upward traveler who seeks enlightenment. When the initiate consciously projects the aspect of the Ruach Elohim that descends from Geburah unto Tiphareth, a sense of faith in the tightness of EVERY thing, infuses the initiate's consciousness. This has to do with the perception of legality and the recognition of the fact that the undeviating justice does indeed manifest itself in ALL circumstances. The cards push me off my feet and I get into a train of thought that can only be expressed in gasps and hiccups. . . I have never tried to paint them with the help of automatic writing, trances, seances, mediums, autosuggestions, drugs, absent treatment, Yoga, meditation, mysterious masters or any other emotional approach of inspiration. In terms of the Microcosm and Macrocosm, the Maternal Letters are the roots of any given form of consciousness, the Double Letters are the gateways or orifices of the body, and the Single Letters are the organs. 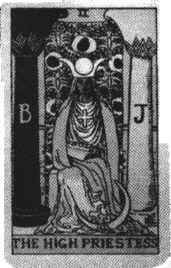 Some very profound insights will result from meditation on the incarnation of the various aspects of the letters. 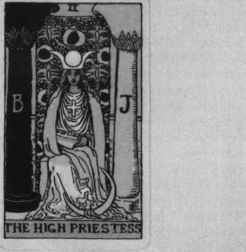 As has been indicated, the Tarot is usually related to the Sepher Yetzirah or Book of Formation. This brief, but major, document of esoteric cosmology purports to demonstrate the rational framework and course of creation of our Universe. Yet, as with all truly enlightened works, it is not intended to be read it must, rather, be used as a stimulus to meditation. To that end, I invite you to experiment with the following correspondences in your sphere- and pathworking. 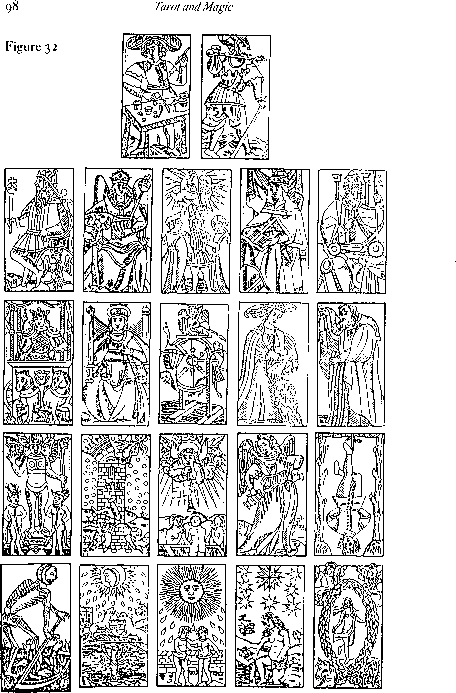 Below, you will find the text of the 32 Paths of Wisdom document, juxtaposed with their Hebrew Tree correspondences and their Tarot Arcanum5 (where appropriate). I've also included Paul Case's Pattern on the Trestleboard statements for each Sephira and for the planetary Sephirot, I've included the Temple images from my own Eight Temples Meditation Project6. Along side all of this, you will find my own personal commentary. The specific phrasing of this passage holds the key. Here we see that Elohim is letting the earth bring forth these things, out of its own substance, as opposed to Elohim creating these things out of nothingness. This indicates a sequential process of self-sustaining self-propagation as opposed to direct creation. It expresses the mechanism of infinite complexity as one thing begets another, endlessly creating subtle shades of difference between the generations. 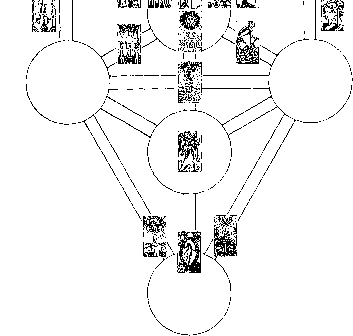 This mechanism fills and thus stabilizes the sequential infinity, and can be seen within the kabbalistic doctrine of emanation at every level of the Tree. The Qabalah is a whole system of mystical knowledge which has influenced to some extent the religions of Judaism, Christianity and Islam. At one point in its history, the Qabalah was condemned by Orthodox Judaism as being heretical, but its teachings were never lost. It regained popularity in the 19th century when Europe experienced an occult revival. 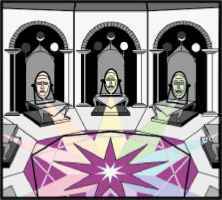 In England, the Hermetic Order of the Golden Dawn used the Qabalah as the heart and cornerstone of the Order's magickal foundation. The Qabalah as it exists today is a living and active philosophy of the entire Universe, the mind of God, and the spirituality of humankind. 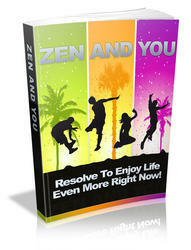 It is a precise system that defines Cosmic Laws and shows us how to apply mystic principles to mundane life. This is a universal Qabalah, which can be studied by anyone of any faith to gain access to magickal techniques and spiritual knowledge through meditation. The Sun and Moon are opposites in the area of clarity - the Sun is enlightenment, the Moon, confusion. In a reading, a reversed Sun upright Moon could show that certainty is low (Sun), and uncertainty is high (Moon), or you are bewildered now (Moon), but greater clarity is possible (Sun). Set aside a place in your home where you will do your readings. By using the same spot over and over, you build up an energy that reinforces your practice. 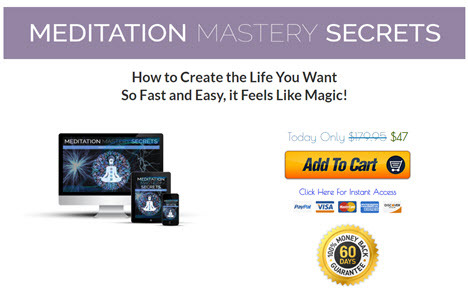 If you meditate or pray, you can do these activities here as well as they harmonize with the tarot in spirit and intent. Each of these worlds generated the energies beneath it, with the universe becoming increasingly dense as it evolved from nothingness to matter. The Unmanifest produced the Kether of Atziluth, and following the Path of the Flaming Sword sequentially, from Sephira to Sephira, from one world to the next, completion was reached in the Malkuth of Assiah, creating forty Sephiroth in all. One of the most important ideas to be added by late medieval scholars was that numerological links could be found between words (and thus between concepts) using Gematria. The introduction of Gematria served two purposes. First, it helped to assure that scribes would spell names precisely as received second, it tended to serve as an incentive for serious meditation on the Names. Whenever we attempt to approach our Higher Self by vising our powers of reason and intellect, we always arrive at a point of utter confusion and frustration. We can go to great lengths to find reasons tor this dilemma, we can philosophize with each other, but we always arrive at the same conclusion eventually. The dilemma will be solved once we realize that the key to self knowledge is pure simplicity. We must relax not only the body, but the busy mind, letting go of everyday problems and concerns, allowing the higher vibrations to flow through our mind and body. The mantram PANDER enables us to reach the Ancient of Days. This is possible with profound meditation. 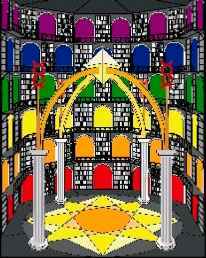 In the world of Aziluth there is a marvellous temple where we are given teachings in the magistral pres ence of the Ancient of Days. of Kether. The student who wishes to penetrate into Kether during a state of profound meditation, will pray to the Angel Metraton, and will be assisted. The Ancient of Days is, in His essential root, our authentic Being. He is the Father in us. He is our true Being. Our disciples must now concen trate and meditate very deeply upon the Ancient of Days. During medi tation they must provoke ecstasy, samadhi. The important idea associated with the Abyss is that there is a vital and distinct separation between the energies of the Supernal Triangle and the seven Sephiroth beneath it. 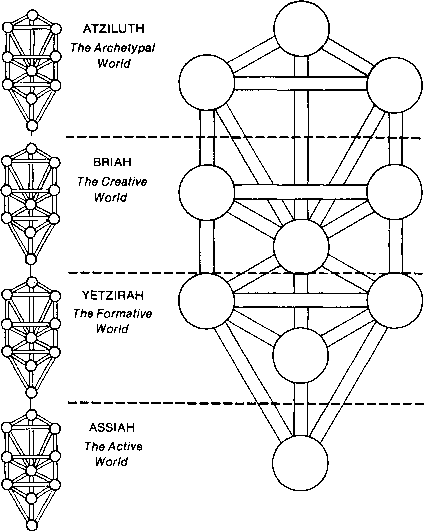 Kether, Chokmah and Binah are totally abstract, and beyond comprehension. Through the meditation of Binah, the energy of Chokmah pours across the Abyss and becomes a realized pattern in Chesed. But again, the Abyss symbolizes the vast separation between the creators and the created. The Supernals are potential separated from their realization by a chasm bridged by Daath. In his novel The Greater Trumps Charles Williams emphasizes this role in his description of the secret room where the original models of the images are kept. This is of course a very real inner condition, although for the conventions of the genre it is described as a physical place in the story. Here, on a table, about which are ranged symbols of the Lesser Arcanum, the Trump figures move about in self-propelled endless dance, in a golden haze and with a slight humming noise. This is a very evocative image, and it is even worth placing the cards out on a table physically in this manner and meditating upon it. The cards speak most strongly to those who physically 'play' with them. 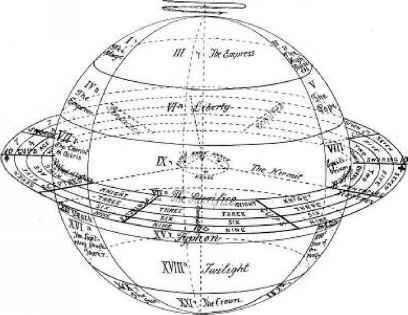 Some kabalists expect that the world of Tiphereth, the world of the Human Soul, or correctly said, the world of the Son of Man, is governed by the Sun. It really is not so, because it is governed by Venus for this reason the Christ is crucified on Good Friday and this is something upon which we will need to meditate. Liberating the mind produces the Awakening of Consciousness. If we want to put an end to the causes of desire we need to live in a state of constant vigilance. It is urgent to live in a state of alert perception, alert newness. The I is a great book, a book of many volumes. Only by means of the technique of internal meditation can we study that book. 'In the beginning, God created the heaven and the earth.' The Bible begins at the moment the spirit descends into physical reality. For us, in the physical world, we can talk of nothing before this moment. 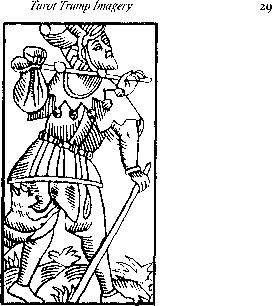 In the linking of the Tarot with the Hebrew alphabet the Fool often receives the first letter Aleph. (Aleph bears no sound it is a silent carrier of vowels, and therefore symbolizes nothingness. It is the first letter of the Ten Commandments.) This would assign the second Hebrew letter, Beth, the first letter with an actual sound, to the Magician. Beth is the first letter of Genesis. Association Meditation The Umbra Surrounded by radiant Umbral energy, the eternal maiden pours forth the waters of inspiration into the pool of consciousness, and spills the essence of the five senses onto the Earth's body, revitalizing both matter and spirit. The meditative phoenix, representative of instinct and the indestructible soul, rises from the manifestation of vital, spontaneous nature, questing toward the enlightenment of the celestial illumination above. Nightmares of disaster haunt her sleep. Awakening, she faces only further intimations of her desolate existence. Without hope of respite or surcease, she rests uneasily upon the bed of her mortality, burdened by the violent demands of her Dynamic calling. The way of the Marauder leads as easily to despair as to enlightenment. To find a second key, we must redeal our cards in a. given space at first only their place in the plane will appear then it will be clearly defined. We know that the Kosmos is conceived as the final expansion of the mathematical point, that is to say, of the Absolute, which before this expansion included all force or potentiality in its nothingness. 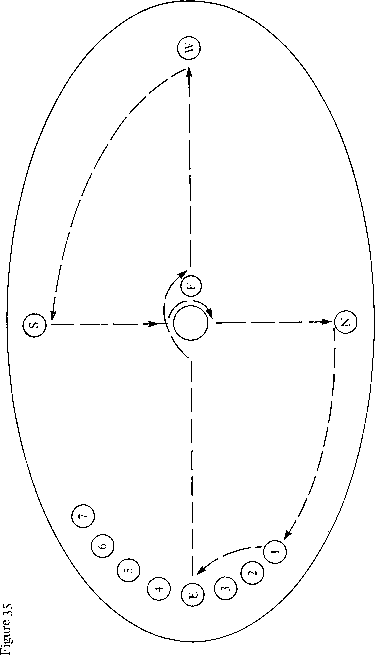 Let us draw this sphere (seeFIG 1). 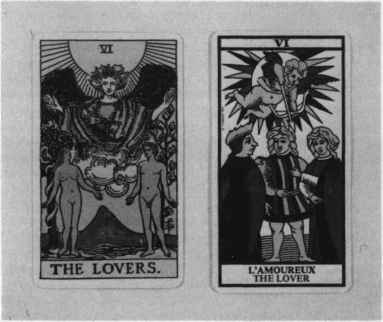 The centre of it will be represented by one of the cards, 0, the Foolish Man or Crocodile, which is the pivot of the whole pack, at the same time that it participates in all the other cards, for they include all the properties of our universe. a point of attraction, producing with a progressive condensation a rotatory movement, particularly accentuated at the Equator, and giving birth to the stars, planets, and satellites, thus descending from the ethereal n buleuse to the atom, to the solid ultimate from living nothingness to inert nothingness, from the unit to an infinite multiplicity.